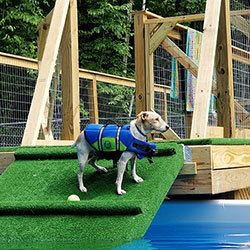 Wagging Tails Pet Resort & Spaw is a true vacation getaway for your precious pup here in Wolcott CT. 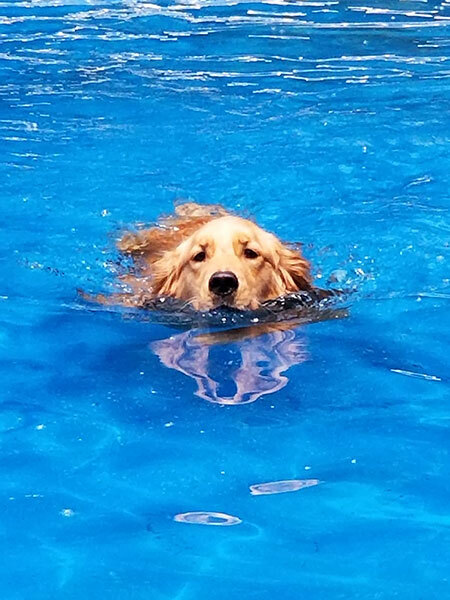 Your dog can enjoy our HUGE 45′ saltwater pool during their stay! 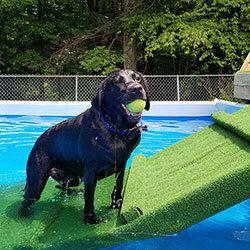 They’ll keep cool, get plenty of exercise and, most importantly, have tons of fun! 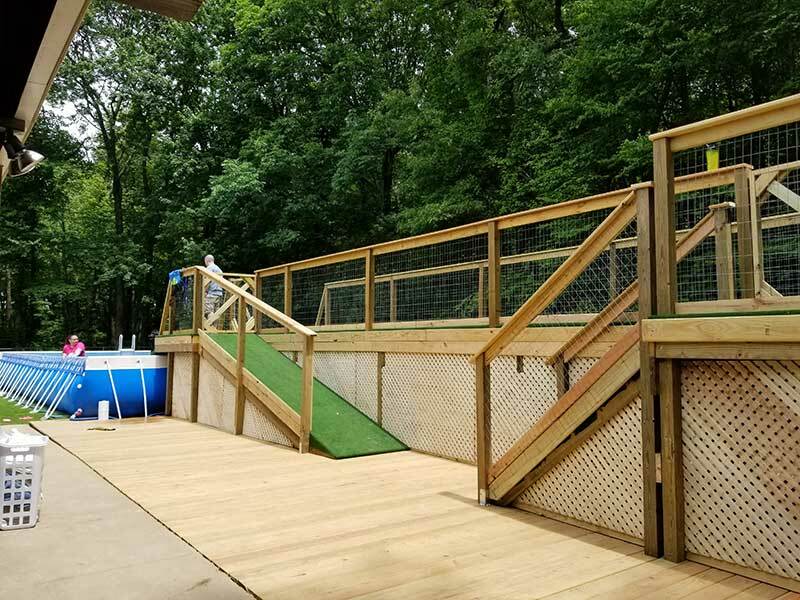 Unlimited, supervised access is just one of the many amenities for our daycare and lodging guests. 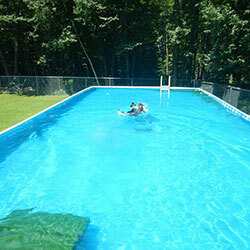 The pool is open daily (weather permitting). 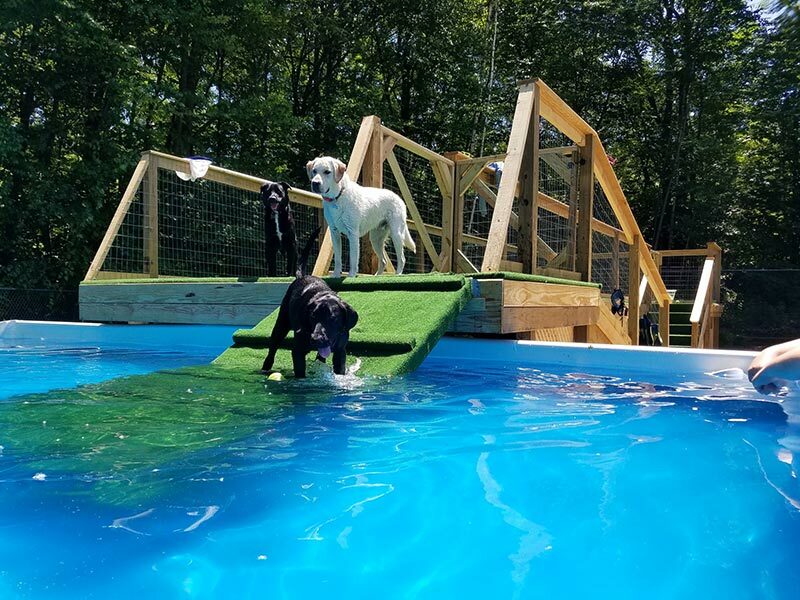 During your dog’s stay, they’ll enjoy doing the doggie paddle, diving from our 40′ dock, splashing around with their pooch pals or dipping a toe in to cool off. 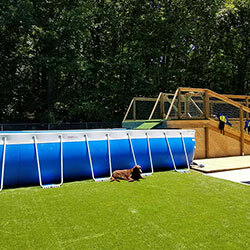 Whatever their swim ability, your pup is going to enjoy their stay and play time in Wagging Tails’ pooch pool! 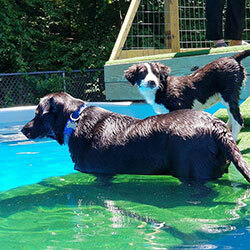 The Wagging Tails lifeguard staff is always supervising each and every dog that is in the pool area. We have life jackets to fit every size dog. There are 2 large entry and exit ramps. And we limit the amount of dogs in the pool at one time. We also limit the length of time per swim. 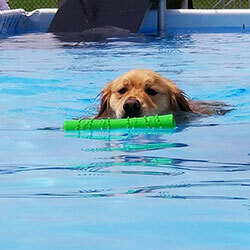 When a dog seems fatigued, they are removed from the pool for a rest, a drink and a snack. 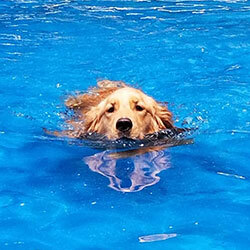 Dogs of similar size, age, breed and swimming ability are grouped together. 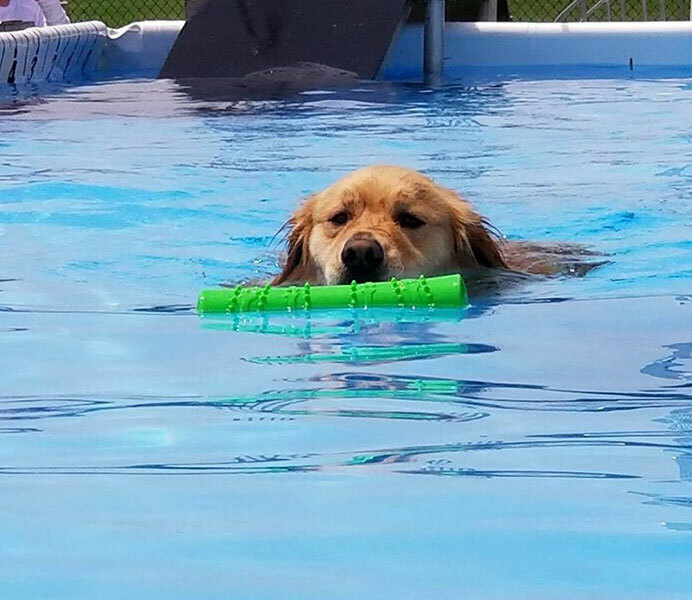 We make their swim time a positive, fun event! Day Pass - $5* Non-refundable. Available to daycare and lodging guests. Not valid for special events, classes, training sessions or lessons. Month Pass - $50* Good for 30 days from date of purchase. Non-refundable. Not valid for special events, classes, training sessions or lessons. Unlimited Pass - $150* Valid June 1st - August 31st, 2018. Non-refundable. Not valid for special events, classes, training sessions or lessons. Swimming Lessons For those dogs who are unsure if they like to swim, Wagging Tails offers both private and group swimming lessons. Call for schedule and pricing. 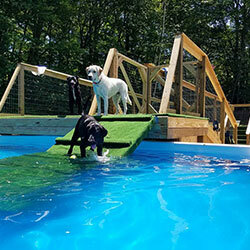 Private Pool Rental - $30 per hour for up to 2 dogs, $20 for each additional dog For dogs who LOVE to swim, Wagging Tails offers Pool Rentals. 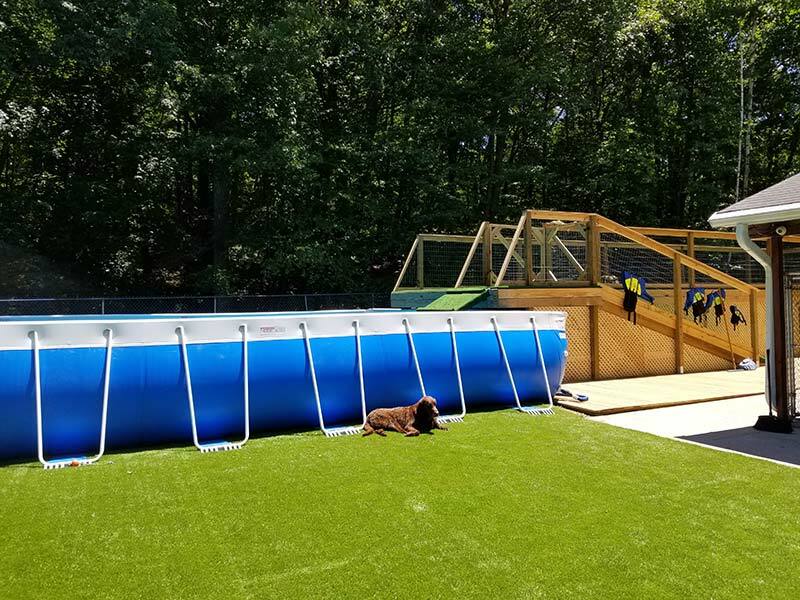 Have the pool all to yourself and your dog! 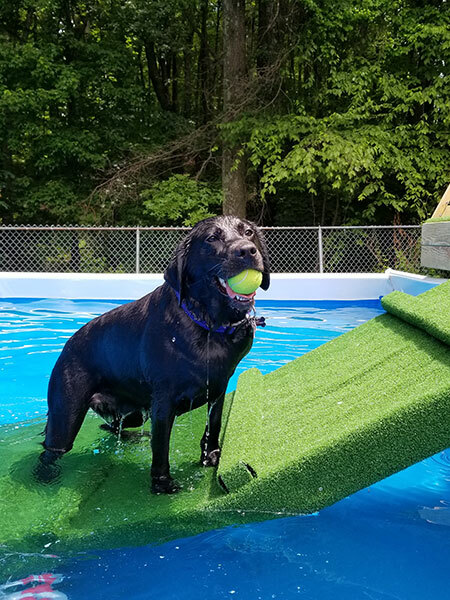 Book an hour of private pool time for your dog to have fun! 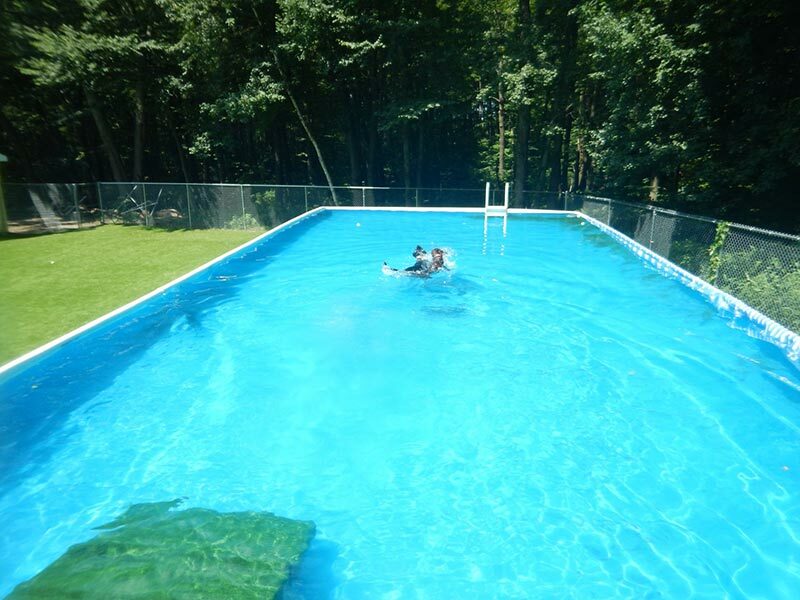 There is a limit to 3 humans allowed at the pool during this time. 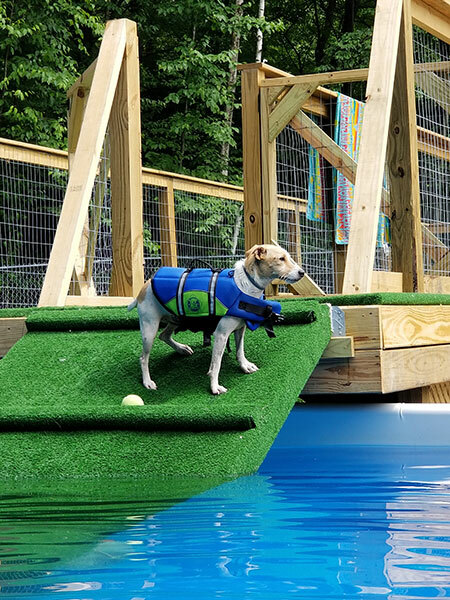 Please note, this pool rental is for recreational swim purposes for your dog, not for dock diving rentals. 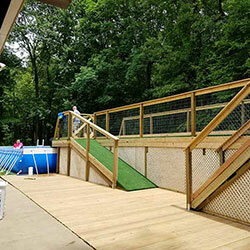 For dock diving pool rentals, please visit our Dock Diving Club Page.